18+. New Players only. BeGambleAware. Spin Rider is the newest Caddell Limited brand powered by some of the best software developers, speaking multiple languages, and operating with trustworthy UKGC and MGA licenses. Having ascertained you’ll be playing in a completely safe environment, brace yourself for a staggering choice of 1,500 casino games and a generous welcome package to start you on an adrenalin-filled ride. I put my black leather jacket on, sit behind the wheel of a mean-looking little Spider, and head to a classy casino to play the night away. I mean business, and the house better watch out! That’s how the Casino’s landing page makes me feel on my first visit for what promises to be a thrill-packed review of Spin Rider. The animated slider set against the black background does a great job of setting the mood. Discreet menu button, tucked away in the top left corner, offers access to games, promotions, VIP section and Contact page. I can alternatively browse my preferred game category via a mini-menu positioned on the right. Links to other important information can be found at the bottom of the page and the whole affair looks very easy to manoeuvre. Here are those official t&c in full: 18+. New players only. 1 bonus offer per player. Min. deposit £20 Max. bonus bet is £5 Bonus spins on selected games only and must be used within 72 hours. Bonus funds expire in 30 days, unused bonus funds will be removed. Bonus funds are 200% match up to £3,000 on your 1st deposit, 40% match up to £1,000 on your 2nd deposit, and 80% match up to £500 on your 3rd deposit. Bonus funds are separate to Cash funds, and are subject to 35x wagering the total bonus, cash & bonus spins. Terms apply. BeGambleAware. The operator’s promotional page at first looks packed but there’s actually not that many goodies on offer. One can win a Porsche Cayman in a random draw which takes place every 12 weeks, and collect points for all real money wagers. The first batch of 500 will be added to your account as soon as you make the first deposit, and you’ll later be able to trade 1,000 points for €5 bonus. To become a member of Spin Rider’s VIP club, one can either apply through a provided form or “demonstrate VIP levels of game play”, which I guess means showing up frequently and spending lots of cash. Having proven you’re a VIP material, the Casino will treat you to exclusive promotions and tailored cashbacks, offer priority withdrawals and higher deposit limits, and invite you to exclusive events. 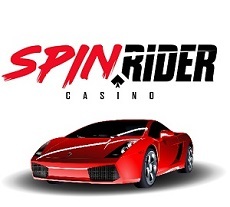 Spin Rider Casino accepts Visa, MasterCard and Maestro, Skrill and Neteller, PaySafeCard (deposits only), and Direct Bank Transfer (withdrawals only). I was informed by customer support that one can’t deposit less than €20 nor cash out less than €30. Having just registered, my maximum withdrawal limit was automatically set at €5,000 weekly. They also told me that, once I make my first successful withdrawal, I’m “more than welcome to put in a request to have the limit increased.” Right. Anyhow, the operator will keep all cash-out requests pending for 48 hours. That’s right, Spin Rider’s portfolio has been built with the help of more than 30 software providers. What it means is that you’ll see both universally known and loved NetEnt, Microgaming and Nyx, smaller but popular developers such as Aristocrat, Blueprint, Lightning Box and Rabcat, as well as so-called boutique brands like Spieldev, Sunfox Games, Just for the Win and Foxium. If that doesn’t guarantee diversity, I don’t know what does. There’s close to 1,500 options to pick from (wow! ), with friendly filtering options allowing one to browse them by category and provider. Spin Rider is an instant-play casino which means all games are accessible online, no pesky downloads required. Can you try them out for free? Sure you can, that’s what play-for-fun button is for. There’s too many games to actually go counting how many fall into video slots category, but I’ll make a wild guess and say it should be close to 1,000. Naturally, you’ll find oldies which inevitably rank among the most popular titles, like Starburst and Gonzo’s Quest, Immortal Romance, Thunderstruck II, 300 Shields and Foxin’ Wins. 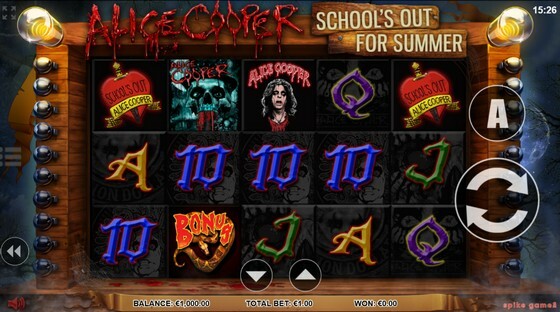 Among newly released slots you may want to try Trip Trap Troll by Leander, Alice Cooper from Spike Games, NextGen’s Wonder Hounds, and Fruit Spin by NetEnt. It kind of peeves me not being able to filter classic titles, and if you’re a fan of traditional fruities, you’ll probably feel the same way. So let me help you out. At Spin Rider you’ll be able to play Break Da Bank and Fruit Fiesta from Microgaming, NetEnt’s Lucky 8 Line and Super Nudge 6000, Merkur’s Double Triple Chance, Sizzling Peppers from StakeLogic, and a few more. 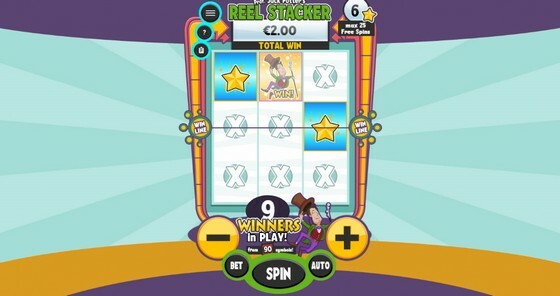 I’d particularly recommend unique Reel Stacker by Probability Jones, a game which lets you decide how many win symbols are in play. The section stocked with progressive jackpot gamescounts more than 40 titles ranging from modest 4-figure jackpots to those with the potential of making one a multimillionaire. Hall of Gods is steadily ticking towards €4 million mark, while Mega Moolah is already well over €6 million. Evolution and NetEnt were tasked with populating Spin Rider’s Live Casino, and have (as expected) done a great job. Evolution Gaming provides good part of their range, including Live Roulette, Blackjack, Baccarat, Casino and Ultimate Texas Hold’em, Caribbean Stud, Three Card Poker and Dream Catcher. NetEnt contributes with Classic, Automatic and VIP Live Roulette, Standard and Common Draw Blackjack. The collection of 50+ table games that I encountered during my Spin Rider review consists of high and low-limit Blackjack, Roulette, Baccarat and Poker variants, Red Dog, and a couple of dice games. It’s decent enough choice, though nothing to write home about. The Casino offers only a few Video Poker games, just so they can say they have them. You’ll find the usual Jacks or Better, Aces & Eights, Deuces Wild, All American and Jokers Wild. 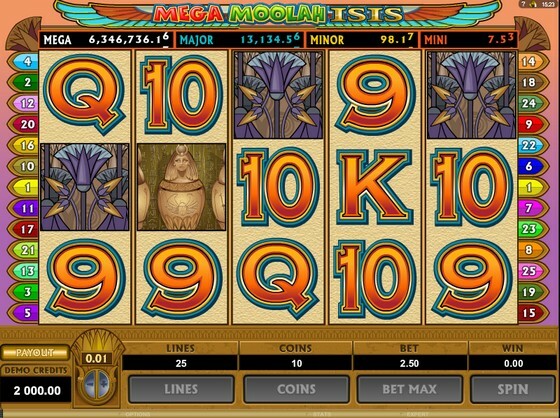 Small selection of other games consists of several Scratch Cards by Nyx and a few virtual games from 1×2 Gaming. If you’re a fan of sports, you may want to try Virtual Champions, Virtual Soccer or Virtual World Cup. Multi-lingual support team (or “customer excellence team”, as the operator calls it) is at my disposal day and night. There are only two ways of contacting them – either via Live Chat or by email. Personally, I’m happy with what’s offered since chatting is always my first choice, but some players may be disappointed with absence of telephone option. An iPhone/iPad, Android smartphone or tablet is all it takes to enjoy the same wild ride wherever and whenever. Spin Rider Mobile Casino looks fantastic, is just as easy to navigate as the desktop version, and best of all, stocks about 700 slots, table games and live dealer games. If the quality of Spin Rider is anything to go by, 2018 could be a good year for online casino fans. Nicely executed theme and user-friendly website offer a perfect setting for a huge games portfolio, impressive not only in terms of size but also the number and selection of providers. It additionally makes sure that, regardless of the inevitable shrinkage, there’s tons of games to play on the go. The welcome bonus that was available for our Spin Rider review is equally generous and comes with decent wagering requirements. What’s not so good is a limited list of ongoing promotions and lack of transparency related to maximum withdrawal limits. Spin Rider is still a baby and there’s time to fix these issues. Just don’t make us wait too long.